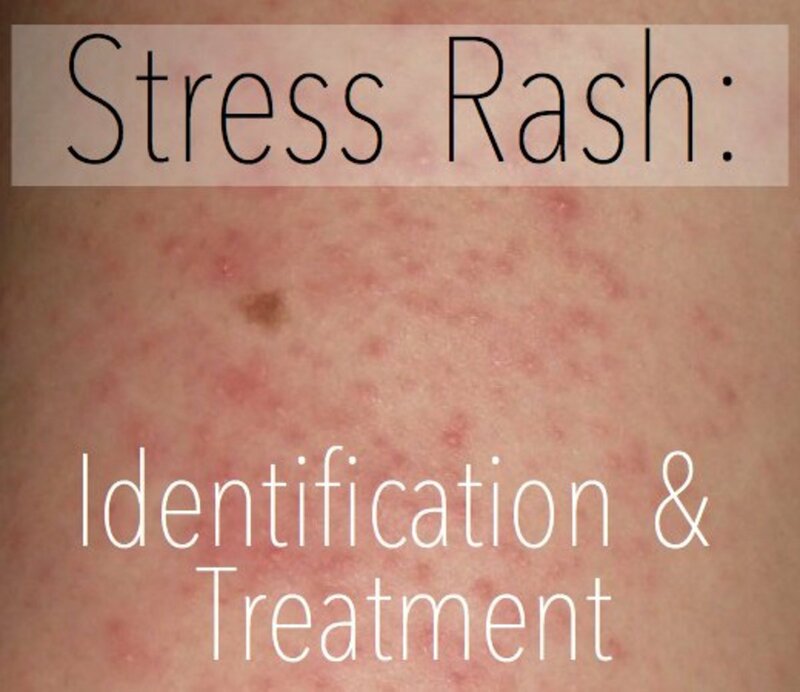 It can be very hard to discern what that scaly, itchy, bumpy rash might be. A lot of times people can just throw some lotion on it, and it will go away, but then there is eczema. Before you start reading this, I want to make sure you know, I am not a Doctor. I am writing this because I had horrible eczema on the palms of my hands and fingers. I even ended up with it on my feet! Actually this is something that doesn't exactly go away, it just hides. So if you ever had eczema at an earlier time, you are especially prone to dry skin and eczema. If you are not careful, and pay attention to everything you touch, you could have it break out on your hands or feet. 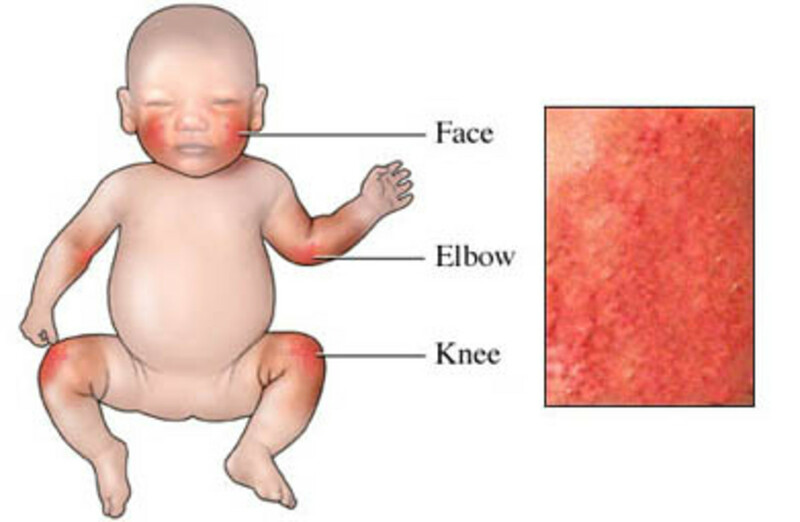 Eczema is a skin condition where certain areas (most commonly, the elbows and knees) become itchy, dry and scaly. That is what is usually tends to be, but if you had a case like mine, there is way more to it. Because I had this wonderful problem quite a few times, I know that it will start with this horrible itch that just will not stop. BE CAREFUL DONT SCRATCH. If you keep scratching, these disgusting little bumps will start to appear. You will be tempted to keep scratching, but these bumps are sometimes filled with this watery pus, and you really don't want to mess with them. If you do end up popping them, the area surrounding it will become even more itchy, and then it will start to dry out. Once the exasperated area is basically like an arid desert, little splits will grow, and get bigger and worse. This is especially irritating if it is on your hands, because it is almost impossible to get them to heal. After that point, I really hope you have all ready seen a Doctor, because I really don't know any other way to get rid of it besides prednisone or a prescription steroid. I do know ways to prevent it and help soothe it, and I am eager to give you my help. So if you are suffering, keep reading. Get information on atopic dermatitis (a type of eczema) causes, symptoms, diagnosis, management, treatment and medications. Learn if this itchy skin rash is contagious. It can be very hard to determine what might have caused such a bad reaction. My problems started because I was allergic to something. I am still not absolutely sure what it was, but Windex seems to be likely. Most of the time, if you get eczema on your body, it is because you switched a detergent. So if you have recently switched a detergent, soap, shampoo, anything like that, switch it back immediately. One case I had heard of, she ended up being allergic to soap (all soap). thank god for Cetaphill (made for people with skin problems). This is why I say to you: make sure you're not allergic to soap because the Doctor will tell you to wash your hands all the time. If you touch anything at all, you have to wash your hands. The Doctor was telling her this, and it just made it worse, because she was having a reaction to soap. The only problem with this is how do you find this out? I'm sure that if you have the money, a test at the Doctors could be done. If not, maybe you could switch to Cetaphil and see if the itching improves. This was one of many frustrating things I found out with Eczema. For a long time, I wasn't even sure I had it, and had to do tons of research. When I saw a dermatologist the first time he gave me a list a mile long of what it could be. We determined that it was something at work (I worked at Dunkin Donuts at the time), most likely the degreaser that we used to clean with. After I left my job there, I discovered quickly that it could be anything I used on a daily basis. I was suddenly very insistent on using Tide (this has always worked well), and changed my soaps, shampoos and everything else. People would give me scented lotions and oils, and I couldn't use them. I was so paranoid because I had no idea what that one thing it could be. Don't be like me; don't freak out about it, it will get better. 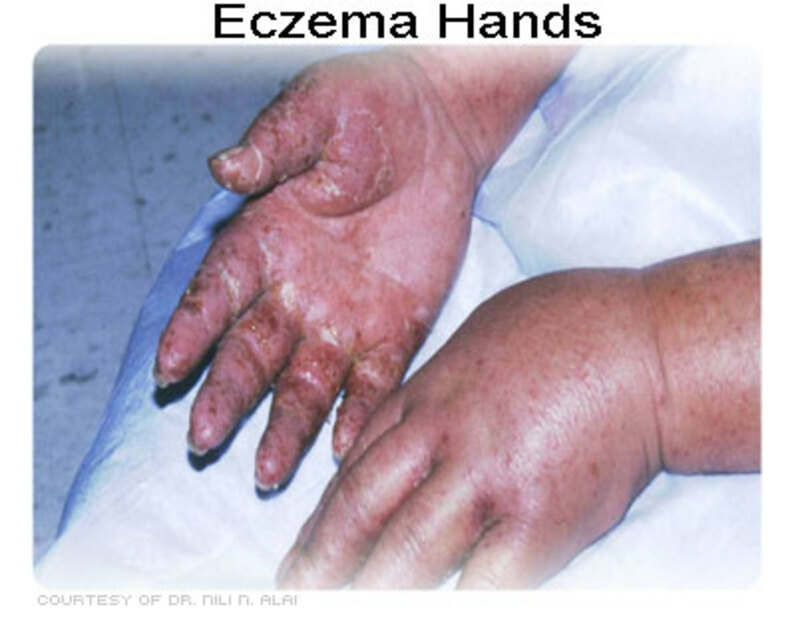 The second most likely cause of Eczema is chemicals. Any chemical can be harmful to anyone, but if you are prone to Eczema in the first place, chemicals could easily cause it to break out. So, if you have Eczema on your hands, and if you do a lot of cleaning with products like bleach, Lysol or Windex, you might want to start wearing gloves, or you could just wash your hands immediately after, but your much safer just wearing gloves. The third irritant, is any kind of clothing material. The most common is wool, and when I was a child, I couldn't wear polyester. This is obviously easy to know if your allergic to it. If you purchased a new shirt or gloves, check the material used. Cotton is always the best. If you have gone through this process and nothing seems to improve, then chances are you might never know. Chances are it is simply allergies, in which case you can take over-the-counter allergy medicine. This helps me when I get especially itchy in the dry season.. I still am not sure if it was windex, latex, or maybe just the peppers I would chop up; I just have to be careful with everything. 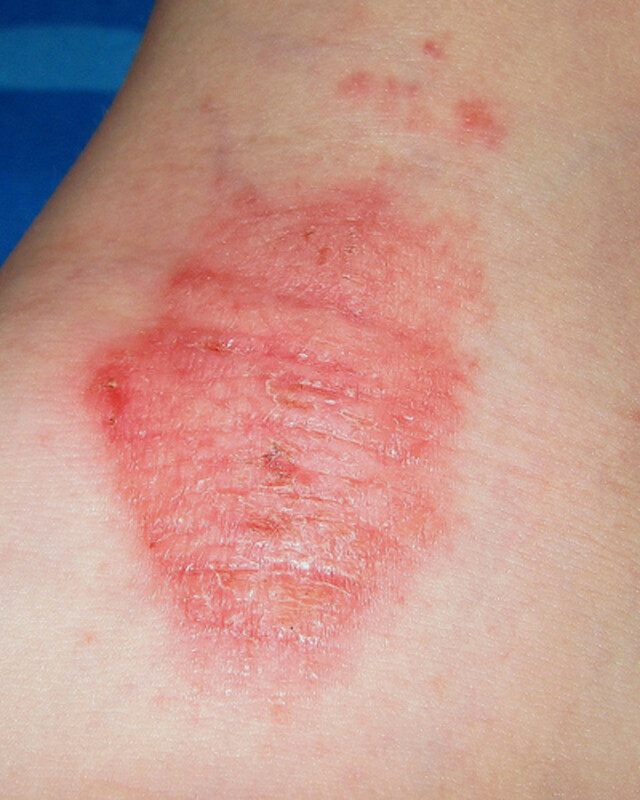 Even if you do know what caused the eczema to appear, it is still a pain to get rid of. If you are lucky, you only have a small patch, if it had time to spread......well, it won't be fun. Once you get to the Doctors, it really doesn't take much. 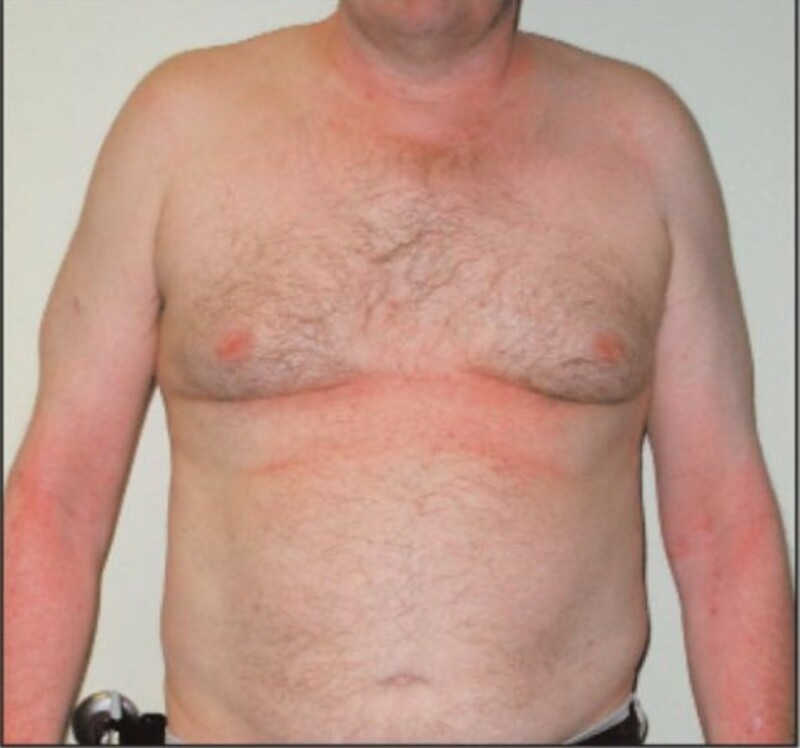 If you have a big portion of skin covered with a rash, make sure you get prednisone. This is a steroid that is taken orally. It does a really great job, but if you aren't careful, the eczema will come right back, and you will need to get an even stronger dose. The Doctor will also give you a steroid cream. There are many that I went through, but for the most part, there is one that always works. It is important to keep using it even if the area seems healed, because eczema comes back very easily. One time my hands and fingers were so inflamed that the Doctor also gave me an anti-inflammatory which aided the process immensely. If you have eczema caused from pollen or any other seasonal type allergy, you can take Benadryl daily, and I think this has helped at keeping this problem at bay. If your eczema is as bad as mine was, the steroids aren't going to be enough. They will heal the area, but they do nothing to ease the pain and itchiness. I experimented with all kinds of lotions,oils and creams. The top lotion that I use and other people who have eczema use, is Vaseline Intensive Care. Advanced Healing is the only one I will buy. I also buy the creamy Vaseline in a small tube to take with me wherever I go. This tube seems to be my lifeline, because once I started using it, I have not had any more problems. Vaseline is good for everyday use even when you don't have a break out, but in order to sleep through the night, I used other things. 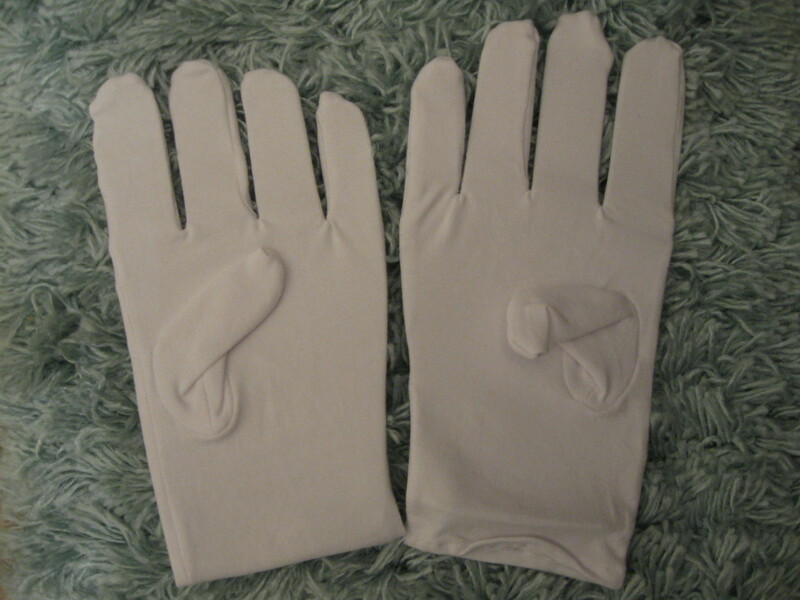 The most important advice about having eczema on your hands is: wear cotton gloves to bed. It is great advice, but I never made it through the night with them on, they made my hands too warm. I have discovered that leaving gloves on too long isn't good either, because sweat can irritate the eczema also. Close to bedtime, I would put cream or oil on my hands (really load them) and slide the cotton gloves carefully over them. Then try to keep them on for at least an hour. Most of the it will sink right into my skin, and then I'll take the gloves off, and go to sleep. Most of the time I would alternate wearing them. Part of the day I would wear cotton gloves, sometimes if I had to clean or something I would put vinyl gloves over them. Every hour or so I would take them off so my hands could breathe. This is almost impossible if you have a full time job, especially in a professional setting, so you might have to find another solution. I also experimented with some natural remedies. I went to our local health food store called Sunflowers. This is really the only place that around here that sells natural ointments. I had researched this for awhile, and then I talked to the employee there. I settled with some reeking, greasy, oil from a seed. Even though it smelled horribly gross, I smoothed it on every night as instructed. If not for the amazing affects it had, I would not have used the whole bottle, but my skin was so soft, I wanted to keep using it. Every day it would get softer and softer, and much less painful. This was really the only luck I have had with natural remedies. I have read that goat's milk is also good for your skin, and I enjoyed taking oatmeal baths (there is an Aveeno treatment) although it only seemed to work for a few hours. I'm sure there are many other oils and treatments that you might benefit from, so I hope you have good luck. The only other advice I can give you is be careful! Test everything on your skin. If you get nice scented oils or lotions, dab a little bit on your wrist or maybe a small area of your hand and wait to see if it starts to itch. If it is a cheap kind, you might not want to take the chance, these always seem to be worse. For the most part make sure you use dermatoligist recommended products, and don't rely on cheap lotions to soothe your skin, they might do the opposite. Eczema. 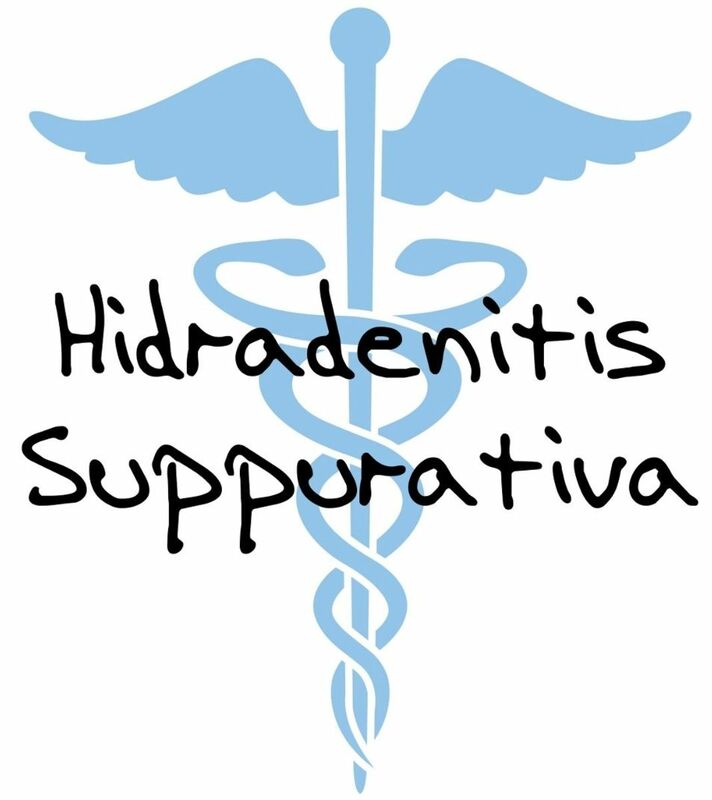 Treatments, Help, Advice and Pictures for Mild to Extreme Cases. Good job! Well done and much needed info!